This month’s Synod on the Family in Rome has seen its share of controversy, stretching back to last October when the Extraordinary General Assembly caught clergy and observers alike off guard and set the contentious tone for this year’s Ordinary General Assembly. Traditionalists feel threatened by the German Cardinals, headed by Cardinal Walter Kasper, who have driven the movement behind the normalization of communion for Catholic who have divorced and remarried without an annulment. Reformers feel emboldened, if not careful, to pursue the change they see as a priority. Traditionalists feel that they have been put on the defensive, even though they arguably came out swinging so as not to repeat last year’s proceedings. For a Catholic journalist, for any journalist, it’s a fascinating story, and speaking strictly as a journalist, I have no idea how it will end. Speaking as a Catholic, I expect the plot to ultimately fail; where the pope and the historic faith seem to be in tension, my bet is on the faith. But for an institution that measures its life span in millennia, “ultimately” can take a long time to arrive. 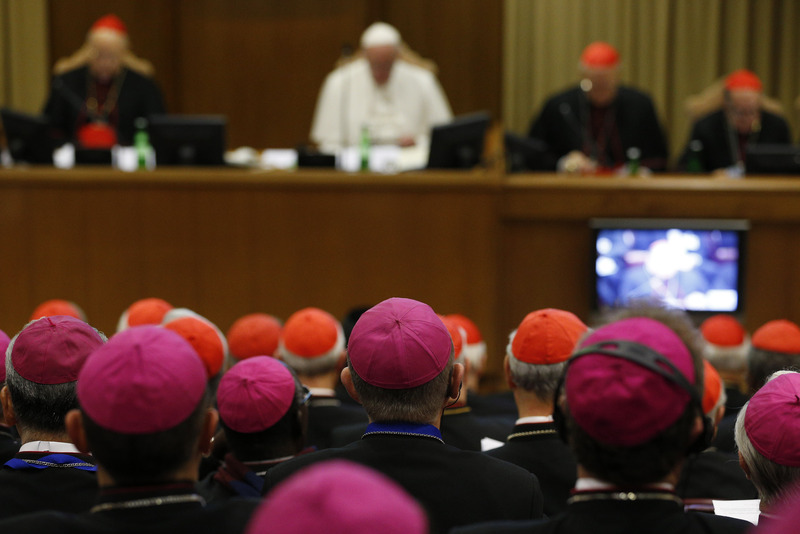 Apprehension over the synod’s proceedings is understandable, but distrust of the process is less so. The Catholic Church is not in a crisis because of the synod and a schism is far from happening. If the synod is a crisis, as some clearly believe, then what would the conclave of 1799-1800 be considered? Thomas McDonald, writing in the National Catholic Register, helpfully reminds us about that conclave, but he does not go much below the surface of it. A more throrough study of the conclave of 1799-1800 will better put in perspective the issues of the synod and the fact that it represents healthy debate in the church, not a cataclysmic crisis. The conclave of 1800 was preceded by ominous geopolitical events and a weak pope, Pius VI, who was powerless to stop them. The turn of the century had brought with it the instability of the French Revolution, its hostility to the church and the power vacuum it created that led to Napoleon Bonaparte's rise in France and eventually Western Europe. Revolutionaries attempted, with some success, to turn France into an atheistic state. They abolished the 7 day week in favor of a 10 day week, liquidated the church’s massive property holdings, forced clergy into being employees of the State (as opposed to Rome), and eventually attacked deism itself by replacing it with a civic religion. It was against this backdrop that Pius VI had to rule from Rome. The French Revolution would have been difficult for any pontiff to wrangle with, but Pius was exceptionally weak-willed when it came to decisive action. For example, another synod, one based at Pistora in 1786, was deeply heretical and riddled with doctrinal errors (McDonald points out that the synod tried to end the Stations of the Cross and devotion to the Sacred Heart among other things). Nonetheless, despite the obvious errors of the Synod and the damage it did to the church, Pius waited almost a decade to issue a condemnation against it. His 1794 document Auctorem Fideidid just that, but it came so late that any damage control it could have offered was lost. As the French Revolution brewed and became more and more hostile to the church, Pius did nothing. He watched the persecution of the French church with grief and concern but did not use the tools at his disposal to try to quell the situation, or at least make the situation less perilous for the church. He condemned the ecclesiastical reforms that were enacted, but beyond that he watched the situation unfold from afar. McDonald notes that his inaction stemmed from the fear of schism, and the action he did take was arguably too little, too late. In 1796 Napoleon invaded Italy and took Pius VI prisoner in 1798 after the occupation of Rome and his refusal to renounce his temporal powers. Pius died in captivity in 1799, succumbing to his capture and the rigorous travel the French army forced on him. When the French occupied Rome they expelled the cardinals as well, leaving them without a location to hold the conclave. Venice was the backup location, and on November 30, 1799, three months after the death of Pius VI, 34 cardinals assembled at the San Giorgio Monastery, out of 45 cardinals who could have attended. By comparison, 115 cardinals voted in the 2013 conclave that elected Jorge Mario Bergoglio as Pope Francis. The conclave of 1799-1800 remains the second least attended as well as the second longest conclave of all time. Despite the low numbers of attendees, the conclave faced not-unexpected papal politics. It was a deadlocked convention until March 14, 1800, when Cardinal Barnaba Niccolò Maria Luigi Chiaramonti was elected and took the name Pius VII. Of course, the church’s troubles with Europe were not over with the election of a new pope. But the church had come through one of the worse crises of its 2000-year existence. The College of Cardinals had been expelled from Rome, reduced in size and could barely function. The French under Napoleon had put the church on the run—but the church pulled through anyway. With the conclave of 1799-1800 in mind, it is worth asking: is the Synod on the Family truly a crisis in the Catholic Church? Of course it is not. It is contentious, worrisome and at times even fractured. But the church has been through worse, and will be through worse in the future. History proves that the Catholic Church is a strong institution. If she can handle Napoleon, she can surely handle the Synod on the Family. Dominic Lynch is a recent graduate from Loyola University Chicago. His work has been published in The Federalist, RealClearReligion, and the National Review Online.